I have never seen something like this its really cool! I thought it was crazy to see treats with Cranberries, and Duck its Crazy my dog has never had duck well she had a stuffed animal duck but that is all and she really liked these treats in the review video I tested these treats with multiple dogs and they all loved them! I was so happy to see these dogs like a treat like this! 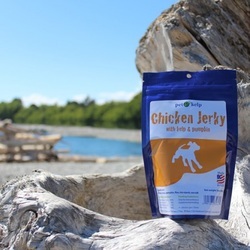 Now you see all these treats made in China that are Jerky but these are made in the USA and are 100% safe for you dog! I love them and so do the dogs! 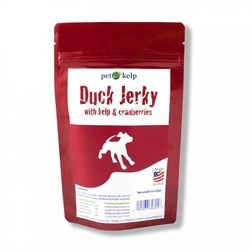 This is Like the Duck Jerky its something I have not seen before I guess its because I am use to just seeing Chicken jerky so then I get excited when I see different things. These where a big hit with the dogs because most of my dogs like there fruits and veggies so they loved these and I like that its more of a healthy treat then a sugary treat which is a plus for me because its a treat i feel good about feeding my dog! 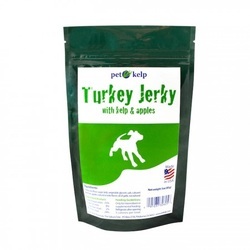 This was one of the FIRST Jerky's made i know that because my dog has had it before and LOVES it Pumpkin is very good for dogs it helps with there skin and coat because of all the vitamins in the Pumpkin. I love this product and it very interesting because its something I have not seen before.